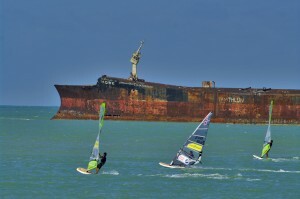 Brazil and their windsurfing and kiteboarding spots offer everything we could wish; exceptional wind gusts, calm waters, amazing lagoons and also a very good environment free from risks. The spots have spectacular Brazilian beaches, tropical islands and idyllic colonial towns. 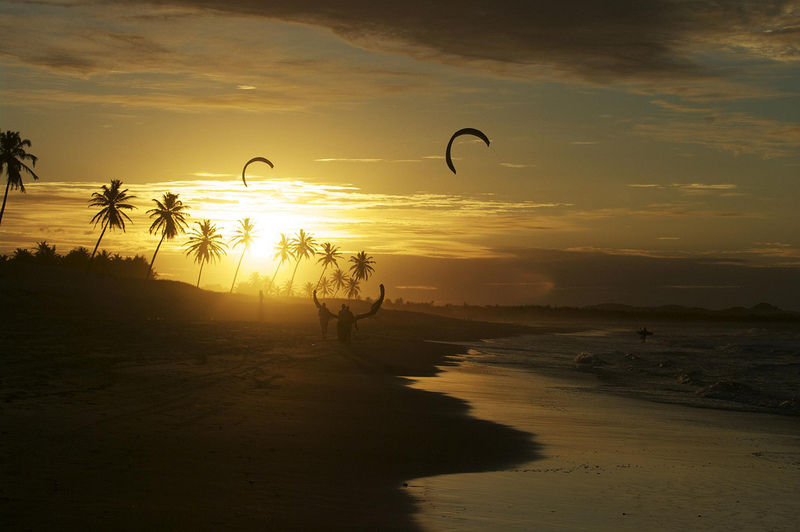 Brazil has several spots where we can find wind, waves and sun from September to January, the area of the coast near Fortaleza,it has numerous spots for windsurfing and kitesurfing. Jericoacoara is known worldwide, several clubs and schools has installed in their spots and even some pros from October to November conduct their workouts. Such good conditions that have made this spot a little crowded in his best season. There are usually 25 to 35 knots side-off and being strong is quite gusty. A bit more south of Jericoacoara we find Paracuru, the wind is a little looser than in Jericoacoara, but larger and more orderly, waves at the same time find a refuge where we can also practice freestyle, what more can you ask for! If we continue down the coast we find Taiba, although it is a surf spot more with windsurf sometimes works too. On our way south Fortaleza we dealt with Pecem and Cumbuco spots, we can say that the latter is more of a spot convenient and easy freeride, so it’s no wonder it is one of the favorite destinations for kitesurfing in Brazil . 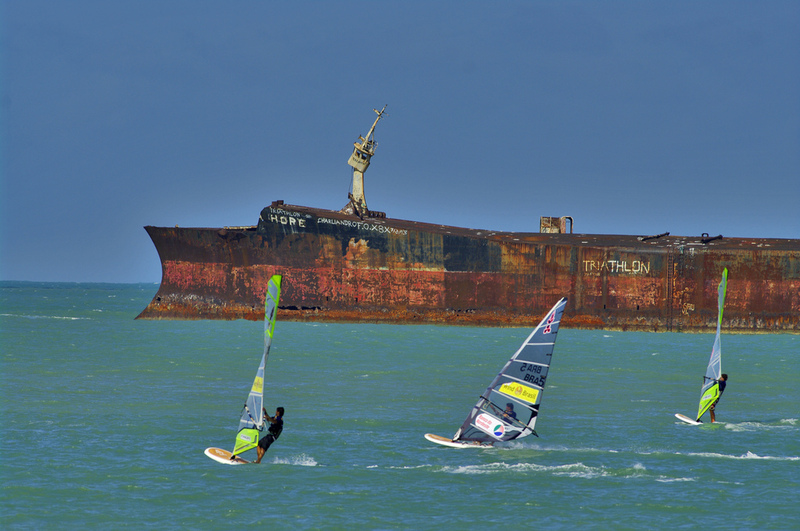 Finally, once we arrived in Fortaleza, which although rather a destination for sightseeing and fun, some local sailing in the area of Pacheco. In the region of Ceará, the trade winds blow from July to December with an average of at least 15 knots in 95% of days, like any other spot where there are sand dunes formed are clear evidence that the wind is common in this place. According to the list of countries by Human Development Index included in the Human Development Report 2013 of the United Nations Program for Development (UNDP), Brazil lies within the countries with high human development index in the 85th. Although still an affordable destination for all pockets when compared with North America and other parts of Europe, Brazil, due to its growing economy, real sturdy, it is becoming the most expensive region of South America. Looking at the map of airports in Brazil, the best airport to which we can direct you Fortaleza, so we avoid going through Rio or Sao Paulo, one of the companies operating in this airport is TAP Air Portugal, which charge approximately 90 euros per check the material.